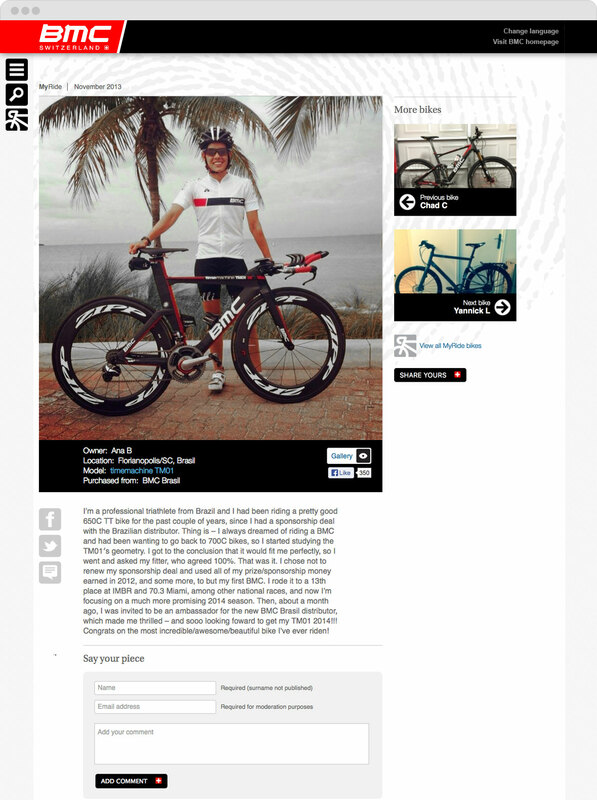 Legendary bicycle manufacturer and multiple Tour de France winner BMC came to us with a wish to start an email newsletter that would help them reach out to their audience and build brand loyalty. Our response—why stop there? 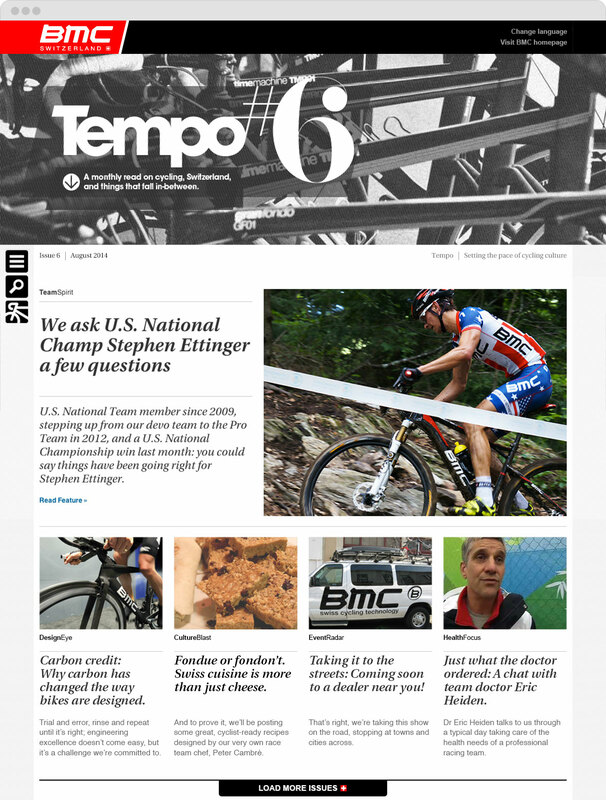 Rather than sticking with a typical newsletter, we suggested creating a magazine-like format with a dedicated online archive where BMC loyalists, newcomers, and cycling culture enthusiasts in general can find interesting and engaging content. We called it Tempo. The site is built on WordPress, an economical, robust, and familiar platform with which BMC can grow and learn from their readership. Over the course of several years, we published the magazine and newsletter monthly in five languages, by issue 12 the list of subscribers had grown to over 50,000 in the US alone. 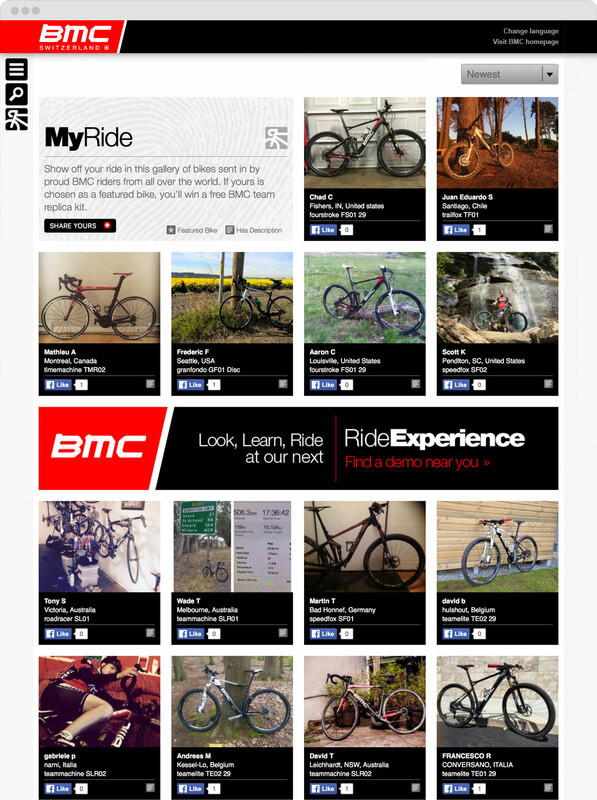 An online listing and reservation system for BMC test ride events around the world. Microsite to introduce the brand ambassador program and recruit new ambassadors. 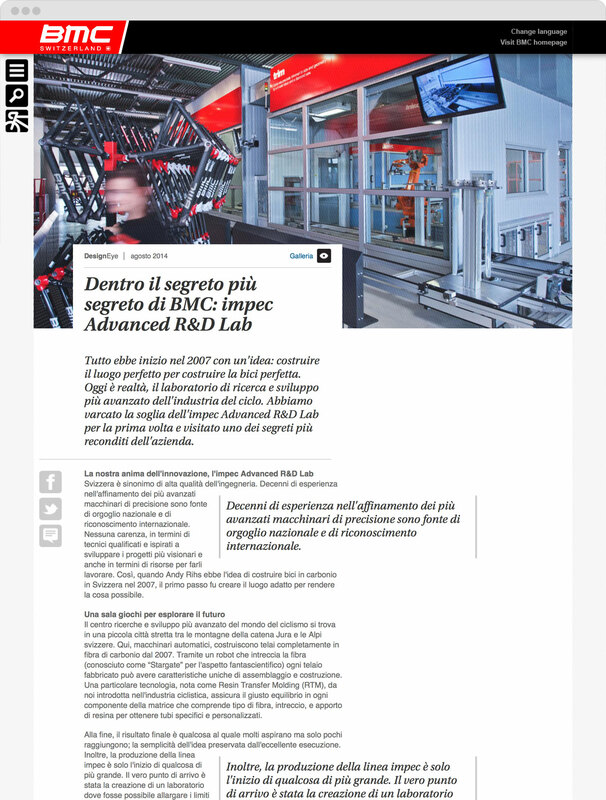 Microsite site to promote BMC’s top of the line machine-built bike, and teaser campaign leading up to the announcement of the new model at Eurobike.